How to translate Yandex.Money on the card "Maestro"
Today, there are already many Internet users have time to evaluate all the advantages of Yandex money. They are convenient to pay for purchases in Internet shops which support this payment system. At the same time, many users are faced with the problem of transfer money on Yandex purse. In this article I will tell how you can solve this problem. There are many ways to replenish Yandex purse. One of the easiest – replenishment via credit card Visa or MasterCard. Maximum amount of single transfer is 15,000 rubles. Replenishment can be made from your account in Yandex money. When translating, you must specify the card number, expiration date, cardholder name and CVV code specified on the reverse side of the card. The downside of this method is that each transfer will be charged Commission in the amount of 49 rubles. For owners of accounts in alpha Bank and Bank "Opening" there are special conditions for transfer money on Yandex purse. They do not pay Commission. However, the reverse operation to transfer funds from Yandex to Bank account subject to a three percent Commission. It is very convenient to replenish your e-wallet via Sberbank ATMs. And they accept credit cards of any Bank. The maximum daily limit in this method is 10 000 rubles. No Commission is charged. If you are a customer of a large Bank and you have a personal account in the Internet Bank, you can Fund the account directly from there. The conditions of the transfer are different, so the size of the Commission and terms of payment it is necessary to know separately the representatives of the Bank, whose client you are. In most cases the Commission when such transfer is 0% and the transfer of funds is instant. Add funds to your wallet and cash, for example through the payment terminal. The amount of the fee can differ depending on the owner of the terminal and ranges from 0 to 10%. The period of enrollment may also be different, from several minutes to days. 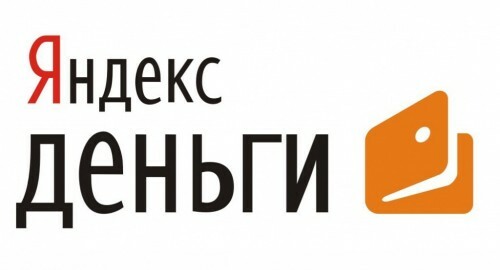 Among other things, transfer money on Yandex purse can be at the offices of the sales partners of the payment system, which are: Euroset, Svyaznoy, DIXIS, MTS, Alt Telecom, Banzai, etc. the size of the Commission and transfer times it is best to check directly in the sales office. Money transfers can also be made via Bank branch or transfer system, such as Unistream, CONTACT or even Mail of Russia. In addition, you can transfer money from WebMoney purse. However, these methods are less popular as they are connected with certain difficulties. For example, to transfer funds from a Yandex wallet to WebMoney and back, you need to have identification in the first payment system and a verified certificate in the second. As you can see, ways to transfer money on Yandex purse, there are many, so everyone can choose for themselves the most convenient option. In addition, this payment system is constantly developing and expanding partner network, therefore, it is expected that the completion of the purse will become more simple and convenient.